Help Aerie heal nature's wounds! After a natural disaster, Shangri-La lays in ashes. 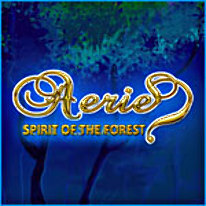 Aerie and the will-o-wisps are called upon to bring the land back to life. Guide them through forests, mountains, swamps and snowy peaks as they heal many different plants and trees. Awaken slumbering animals and cure them - they will give you valuable resources to heal nature’s wounds.